A drive belt is a flexible loop of rubber, or another similar material, that is used to connect two or more pulleys. These belts are used to transfer power from the crank or cam shaft to the alternator, power steering pump, and various other accessories. When a drive belt is powered by the camshaft, the camshaft itself receives power from the crankshaft via either a timing chain or belt. Since drive belts are made from rubber and various polymers, they wear out through the course of normal use, and they can also simply degrade over time. 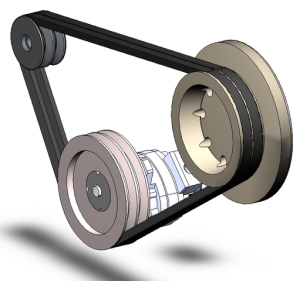 Drive belts transfer power from the crankshaft pulley to accessory pulleys. 3 How do Drive Belts Work? In the very early days of the automobile, there were no accessories, which meant that there was no need for accessory drive belts. 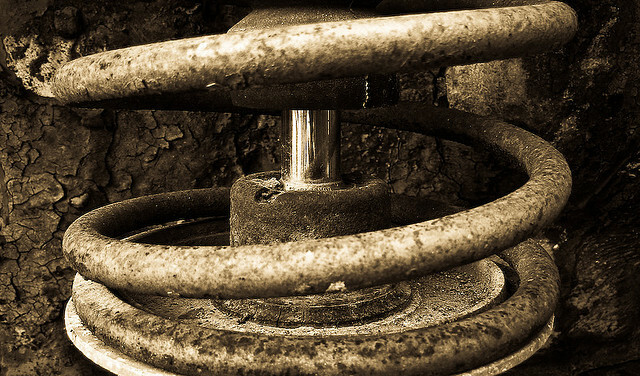 The very first use of a drive belt was to power radiator fans in early water cooling systems, and when water pumps were introduced, they were also belt-driven. These early belts were v-belts, but they were made out of leather, and as of 1916, the angle of the wedge varied widely from one application to another. The first rubber v-belt was created in 1917 by the Gates Rubber Company, which is still one of the leading manufacturers of drive belts in the world today. Another early innovation was the multiple v-belt drive, which was patented in 1925. This setup used multiple v-belts in parallel, which is a technique that was widely used until the eventual transition to serpentine belts. Drive belts remained relatively unchanged for decades, although production materials and techniques were incrementally improved. The next major development was the introduction of the serpentine belt, which first appeared for the 1985 model year of the Mercedes-Benz 190 series. Today, most vehicles use a single serpentine belt. However, some engines utilize multiple serpentine belts, and there are even some examples where a serpentine belt and a v-belt are both used. The two main types of drive belts are v-belts and serpentine belts. These belts are made out of similar materials with similar construction techniques, but they have a few key differences. V-belts are thicker than serpentine belts, and they can’t change direction. Serpentine belts are significantly thinner, wider, and they can fold back and change direction. V-belts have a wedge-like appearance when viewed in cross section. Some of them are solid, and others have sections removed to aid in cooling, which creates the appearance of multiple wedges or teeth. Serpentine belts have a series of v-shaped ribs that run the entire length of the belt. 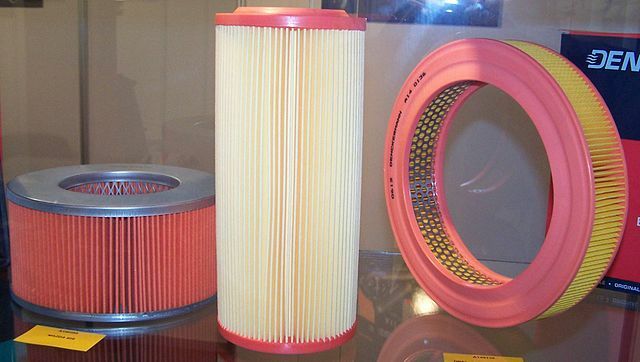 Timing belts are specialized drive belts that connect a crankshaft to a camshaft. Unlike v-belts and serpentine belts, timing belts have precisely-spaced teeth. In addition to connecting the crankshaft to the camshaft, this type of belt also has to keep the camshaft synchronized with the crankshaft. This type of belt replaces a timing chain, which is a metal component that serves the same basic purpose. How do Drive Belts Work? Drive belts use the force of friction to operate. When a drive belt is installed, tension is applied. That tension then creates friction between the belt and the pulleys that it’s installed around. 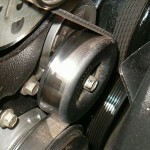 When the crankshaft turns, friction between the crank pulley and the drive belt causes the belt to move. In turn, friction between the belt and any accessory pulleys causes them to rotate. Serpentine belts use an automatic or screw-type tensioner. Belt tension can be applied in a handful of different ways, and every engine uses one or more specific method. The simplest method of applying belt tension uses one accessory, like an alternator or power steering pump, that is on a pivot. That accessory is loosened to remove an old belt and install a new one, and then it is pried back to apply tension. In some applications, the accessory can be moved back and forth via a screw tensioner, and these screw tensioners are also sometimes used in conjunction with idler pulleys. The other main type of tensioner is spring loaded. These belt tensioners are typically used with serpentine belts, and they apply tension automatically. These tensioners include built-in idler pulleys that serve the express purpose of tightening the belt. When the tensioner is pried back, it’s possible to remove and install the belt, and then when it is released, it automatically applies the right amount of tension. If a drive belt fails, then the accessory or accessories that it was responsible for transferring power to will no longer work. That means a drive belt failure can result in a lot of different issues, including a discharged battery, lack of power steering, etc. Since drive belts are made out of rubber and other polymers, often reinforced with steel fibers, they are wear items. The main reason that they wear out is fatigue, which is caused by stress from tension and friction. Belt material doesn’t abrade through normal use, and if it does, that typically indicates other problems that need to be addressed. The most common sign of a worn belt is cracking, and a severely cracked belt should typically be replaced before it breaks. If the cracks develop to the point where chunks of the belt are missing, that is a sign that it probably isn’t going to last very long. Next story What is a Radiator? Previous story What is a Thermostat? 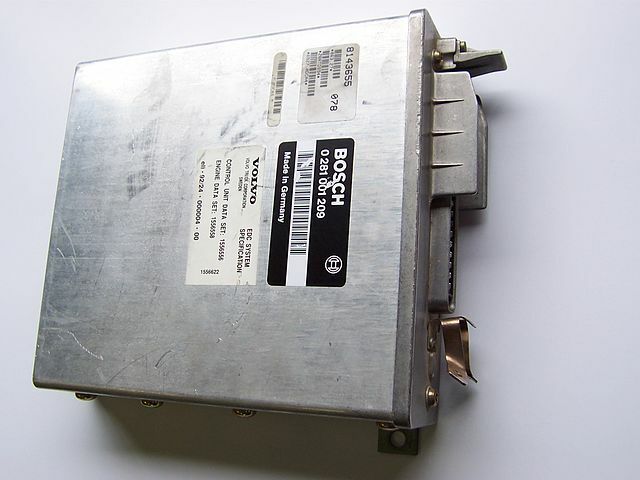 What is an Engine Control Unit?